Since the 1940s fishing gear has been made with synthetic materials that can take decades to decompose under water. This means that decades after it is lost, derelict fishing gear will continue to do its job and capture marine animals. Before 2002 it was estimated that derelict gear killed over 4 million marine animals a year. 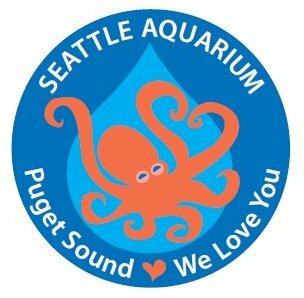 However, since 2002 the Northwest Straights Initiative has been working to remove derelict gear in the shallow waters (105 feet deep or less) of Puget Sound. To date they have removed 5,038 derelict nets—which covered 719 acres of marine habitat, 3,678 derelict crab pots, and 54 derelict shrimp pots. Over 240 unique marine species were found trapped in these nets. The Northwest Straights Initiative estimates that there are fewer than 500 derelict nets remaining in these sub-tidal zones, and that these nets still kill more than 600,000 marine animals every year. 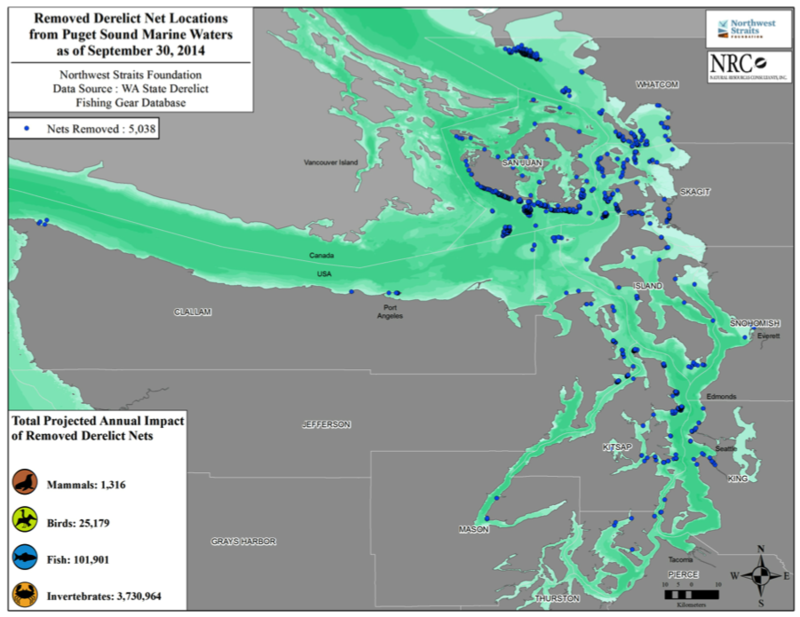 How can you help reduce the amount of derelict gear in Puget Sound? It is estimated that over 12,000 crabs pots are lost in Puget Sound every year. Many recreational crab pots that are lost are not equipped with an escape cord. An escape cord is made of material that decomposes quickly when left underwater, so that trapped crabs can escape the pots without dying. It is estimated that around 12 crabs are trapped in derelict crab pots per day! To read more about escape cords check out the following link: http://www.derelictgear.org/Home/Derelict-Shellfish-Pots/Escape-Cord.aspx. Thanks for sharing information on the derelict fishing gear removal work we do! I’d love to direct people to our web site, the Northwest Straits Initiative (not the “Straights” 🙂 ) which is found at http://www.nwstraits.org. Derelict gear removal is just one of many projects we do in the seven county area where we work. Happy holidays!